Fits perfectly in a desk or night stand drawer and provides security for personal documents and valuables at home, in the office, or on the road. 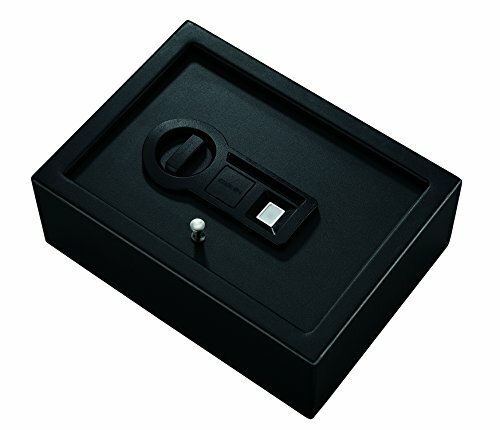 The one-touch Biometric lock makes accessing your secure items fast and easy. The lock can be programmed to accept up to twenty different fingerprints. This is a California-approved Firearm Safety Device that meets the requirements of Penal Code section 23655 and the regulations issued thereunder. View More In Gun Safes & Cabinets. If you have any questions about this product by Stack-On, contact us by completing and submitting the form below. If you are looking for a specif part number, please include it with your message. © 2019 - practicaltacticalpodcast.com. All Rights Reserved.